Acne vulgaris is a disorder of the pilosebaceous unit characterised by comedones, papules, cysts, nodules and scarring. It is a chronic inflammatory dermatosis notable for open or closed comedones that include blackheads, whiteheads and inflammatory lesions. While the condition is not life threatening, it can cause significant psychological morbidity and lead to lifelong scarring. Acne vulgaris typically starts around the age of 12 to 14 years but tends to manifest earlier in female patients. Patients’ peak age for severity is 16 to 17 years in female, and 17 to 19 years in male patients. Acne has no gender predilection, affecting both sexes equally. Follicular hyperkeratinisation is the abnormal rapid shedding of skin cells in the sebaceous gland and follicular infundibulum (uppermost section of the hair follicle). It can be considered a crucial event in the development of acne lesions and is believed to be the second step in the pathogenesis of acne vulgaris. Retention hyperkeratosis occurs when keratinocytes become cohesive and don’t shed normally on the surface of the skin. This leads to the formation of a microcomedone under the skin approximately eight weeks before the acne lesion becomes visible on the skin surface. The increased production of sebum is a critical component in the pathogenesis of acne. From around age seven, sebum production continually increases into adolescence. The maturation of sebaceous glands and production of sebum are required for the development of acne. In addition, the average rate of sebum secretion is higher in individuals with acne than in those without. The exact mechanism underlying the regulation of human sebum production has not been fully defined but is likely regulated by androgens, neuroendocrine factors, and other factors regulating lipid metabolism. Propionibacterium acnes, an opportunistic pathogen that plays an important role in the progression of inflammatory acne vulgaris, is ubiquitously present within human sebaceous follicles. The bacterium aids in rupturing the follicular walls, using secretory enzymes with degradative properties, and stimulating cells to produce proinflammatory cytokines. P. acnes may further contribute to the inflammatory process by producing neutrophil chemotactic factor, which releases inflammatory mediators such as lysosomal enzymes, resulting in the formation of free radicals and other reactive oxygen species. Acne has a complex, multifactorial pathophysiology that begins with the microcomedo as an initial step in comedogenesis and the formation of subsequent acne lesions. Acne lesions can remain subclinical or continue to evolve into inflammatory lesions or comedones. Androgens are required to produce significant quantities of sebum. In the majority of patients with acne, serum androgens are normal. It is likely the local production of androgens within the skin that correlates more directly with the development of acne. Dehydroepiandrosterone sulphate (DHEAS) may regulate sebaceous gland activity through its conversion into more potent androgens in the epidermis. The skin possesses each of the enzymes for the conversion of DHEAS into potent androgens, including the enzyme 5α-reductase, which is required for the conversion of testosterone into higher-affinity dihydrotestosterone. The local conversion of androgen precursors may play a role in the pathogenesis of acne and could be a potential target for therapeutic intervention. 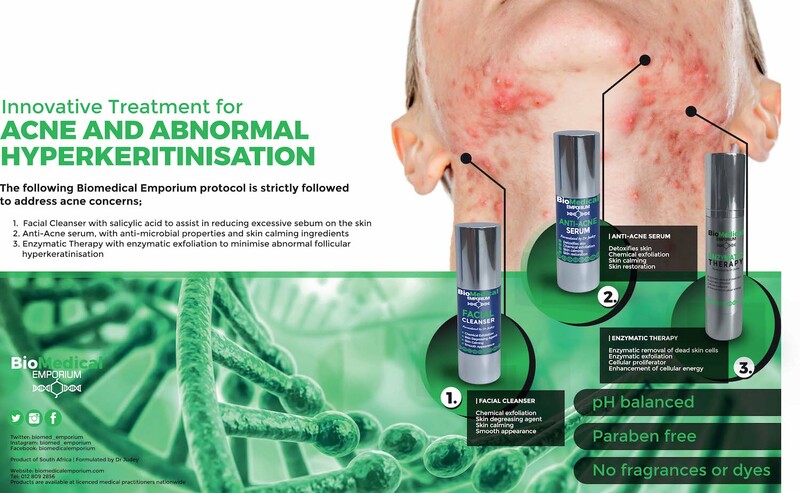 The diagnosis of acne vulgaris is primarily clinical.History and physical examination can help determine underlying causes of acne, such as an exacerbating medication or endocrinologic abnormalities causing hyperandrogenism. While endocrinologic testing is not ordered routinely for women with regular menstrual cycles, older women – especially those with new-onset acne and other signs of androgen excess – should be tested for androgen excess.In prepubertal children with acne, signs of hyperandrogenism include early-onset accelerated growth, pubic or axillary hair, body odour, genital maturation and advanced bone age. 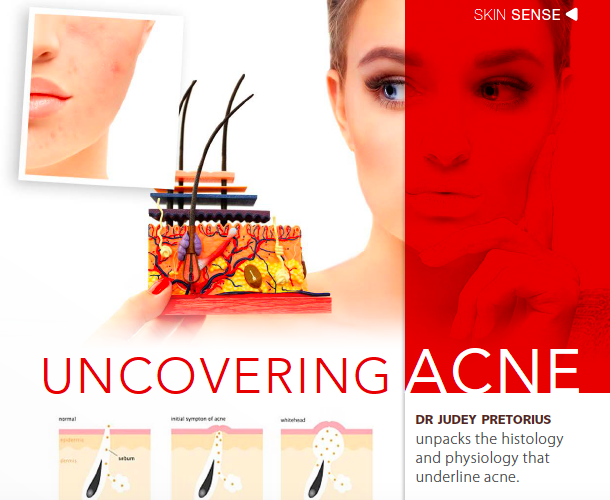 Acne has developed from a disease of puberty to a disease extending from adolescence into adult ages, with its most disﬁguring element being the development of permanent visible scars. Acne scars are permanent textural changes and indentations that occur on the skin as a result of severe acne. In these cases, large pus-filled spaces known as acne cysts are formed. These cysts destroy skin tissue which is not replaced during the healing process. When the cyst eventually empties, and the area heals, it usually leaves behind an indentation on the face. On the chest and back the scarring can be lumpy and may convert into a hypertrophic or keloid scar.Acne scarring is common but difﬁcult to treat. There are three types of atrophic acne scars: ice pick, boxcar and rolling. Ice pick and boxcar scars can be improved by several treatment therapies, including chemical peels, microdermabrasion, microneedling, laser treatments, fillers, LED therapy and, only for fair skins, ablative lasers. Acne treatment should aim to reduce the severity and recurrence of skin lesions, and improve appearance. 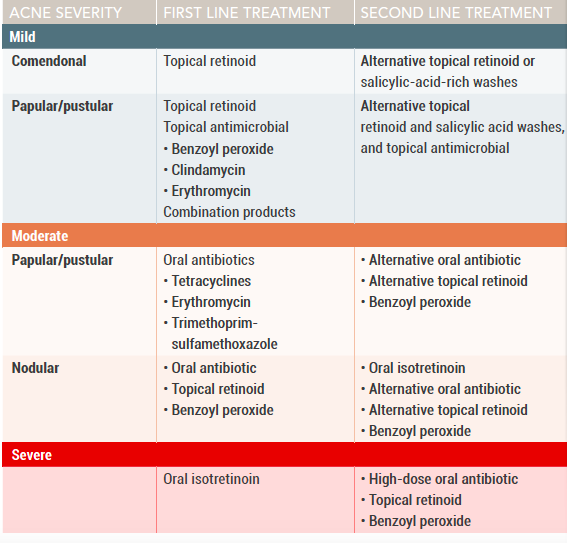 The approach depends on the severity and distribution of the acne, treatment preferences, patient age, and response to previous therapy. Various treatments target different steps in the pathogenesis of acne, from counteracting androgens and decreasing sebum production to preventing follicular occlusion, reducing P. acnes proliferation and decreasing inflammation. 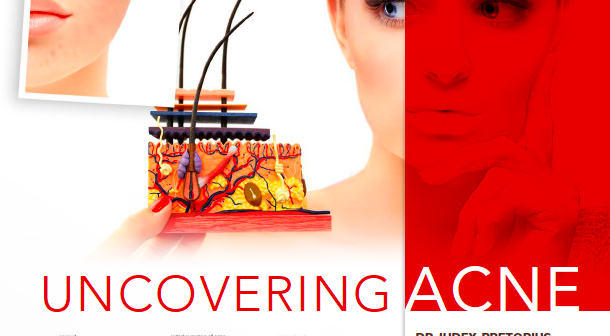 Physical treatments for acne include comedone extraction, chemical peels and microdermabrasion, intralesion corticosteroid injection for acne cysts, and high-intensity, narrow-band blue-light photodynamic therapy. Facial cleanser with salicylic acid to reduce sebum production. Anti-acne serum, with antimicrobial and skin-calming ingredients. Enzymatic therapy and exfoliation to minimise abnormal follicular hyperkeratinisation. Diet plays an important role in the pathogenesis of a variety of diseases. The association of diet and acne has been controversial and unclear. Historically, it was thought that diet did not cause acne; however, recent studies reveal a potential role in its pathogenesis. Individuals that have a diet with a high glycemic load or dairy consumption are reported to have a greater likelihood of having acne. 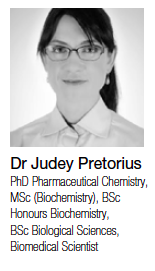 Written by Dr Judey Pretorius. 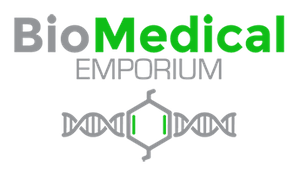 A2 Disclaimer: This article is published for information purposes only, nor should it be regarded as a replacement for sound medical advice. 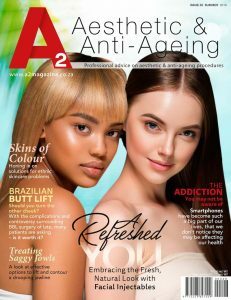 This article was written by Dr Judey Pretorius and edited by the A2 team EXCLUSIVELY for the A2 Aesthetic & Anti-Ageing Magazine December 2018 Edition (Issue 28).